Upscale condo with room for 8! Here's the bed set up: King, Queen, Twin bunks, Queen Sleeper Sofa. Free beach service from March through October! Renovated and beautiful! Sleeps up to 8! Here's the bedding set up: King, Queen, Twin Bunks, Queen Sleeper Sofa! Free Beach Service with 2 chairs from March through October! Wow beachfront condo with room for 8! Here's the bedding set up: King, Queen, Twin Bunks, Queen Sleeper Sofa. Free Beach Service from March through October! This beautiful condo sleeps 8! Here's the bed set up: King, Queen, Twin bunks, Queen Sleeper Sofa. Free Beach Service from March through October! 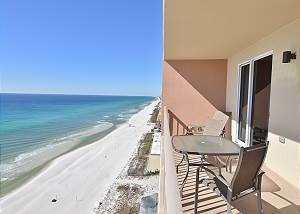 23rd Floor Beachfront condo with room for 8! Here's the bed set up: King, Queen, Twin Bunk, Queen Sleeper Sofa. 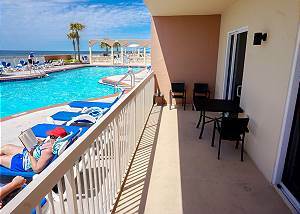 Free Beach Service from March through October!Newly remodeled Dec 2018!! 25th Floor beautiful condo with room for 8! Here's the bedding set up: King, Queen, Twin beds, Queen Sleeper Sofa! Free Beach Service from March through October! STUNNING views!! Listen to the waves from your balcony!! This beautiful beachfront condo sleeps up to 8 with the following bed set up: King, Queen, Twin bunk and Queen Sleeper Sofa! Enjoy the views!